TimberTime is a system where trucks delivering timber book at time when they will arrive. The main purpose with TimberTime is to minimize queuing at the sawmill and give the drivers a tool to plan their workday. TimberTime is web and app based an requires minimal installation at the customer. Using an arrival terminal its possible for drivers to check in when arriving to the sawmill. Messages can be sent driver using the integrated message function or SMS. 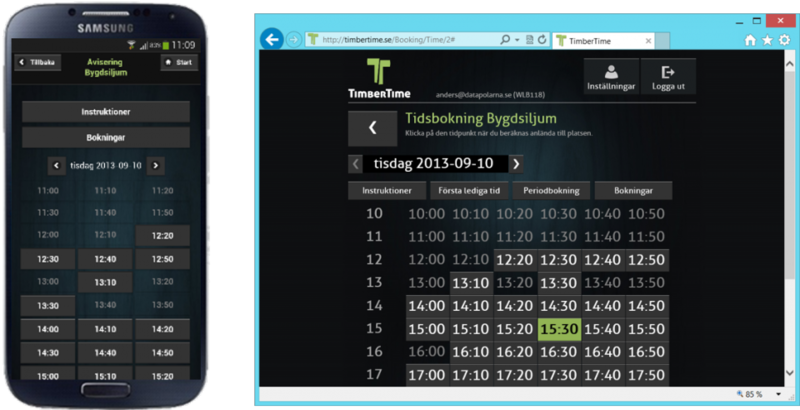 TimberTime is very simple and intuitive to use. 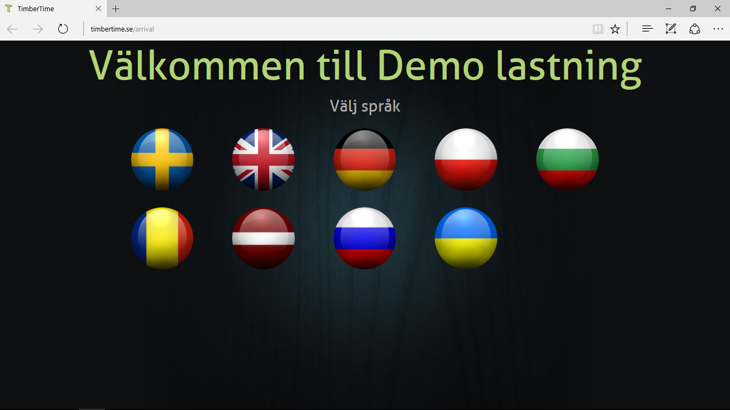 Most drivers can use the system without any traning. TimberTime provides an easy way to get information to truck drivers using the built in message function and SMS.